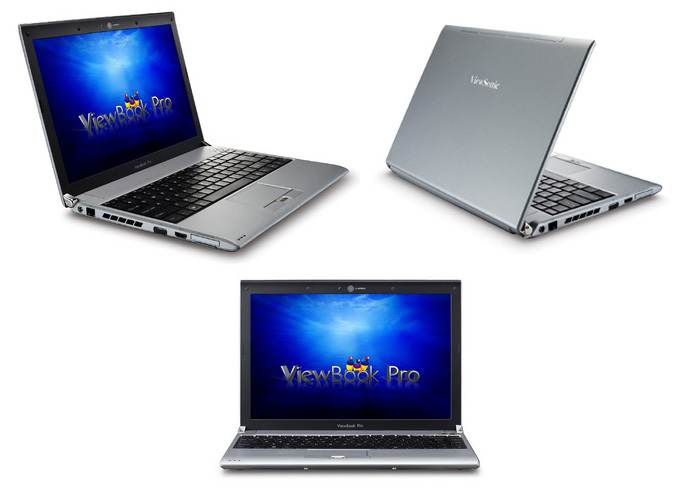 ViewSonic outs its first ULV notebook – the VNB131 ViewBook Pro. The 13.3-inch VNB131 is only an inch thick and offers TFT LED backlit (1280×800) screen ULV SU7300 Intel Core 2 Duo processor, Intel GS45 + 1CH9M chipset, 2GB DDR2, 320GB HDD and 6 cell battery, which sustain for up to 8 hours. Other features include, a 802.11b/g/n wireless, two USB 2.0 ports, a 7-in-1 card reader, HDMI and VGA connections, 1.3 megapixel camera and Windows 7 Home Premium OS. Beside cell battery, the notebook has an option for an extra 3 cell battery that can be interchanged with the removable DVD ODD for an additional four hours of battery life – for a total of up to 12 hours.. The ViewSonic VNB131 ViewBook Pro is available for an MSRP of $949.